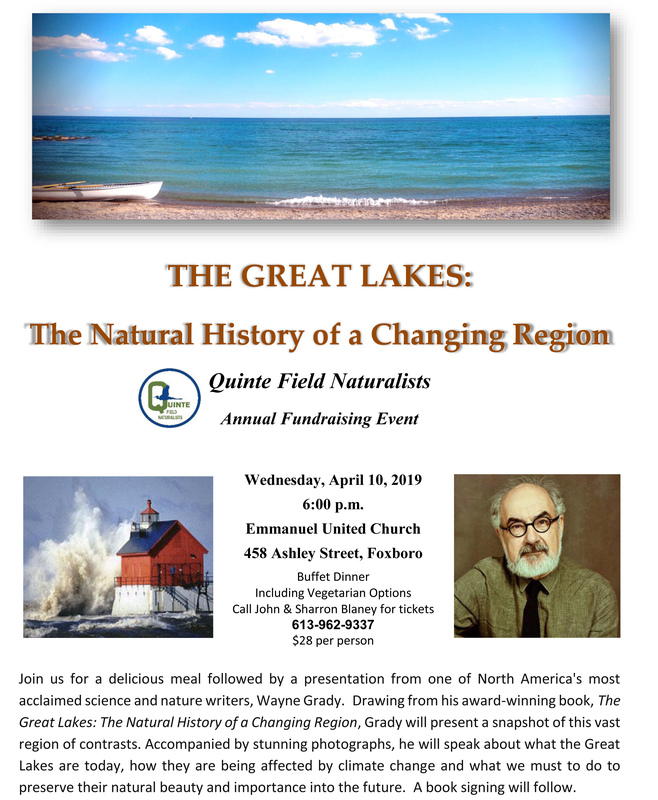 In support of the Quinte Field Naturalists, enjoy a delicious meal and presentation from one of North America’s most acclaimed science and Nature writers, Wayne Grady. Accompanied by stunning photographs, Grady’s talk will draw from his award-winning book, The Great Lakes: The Natural History of a Changing Region. Emanuel United Church, Foxboro. $28 per person. Call 613-477-3066 by March 30 for tickets.